Jills blog. Upholstery Sewing Services. – News, views and comments. Hi – and welcome to our blog. On our Blog postings page you can read all the news, views, comments and recent work carried out from Upholstery Sewing Services. I guess you’re used to blogging so you will recognise the main menu bar and the blog / comments menu on the right. Please feel free to post any reply you may have regarding an individual blog or move to our contact page should you wish to phone, e-mail or leave us a message. Thanks for looking and have a good day, hope to see you again. To return to our main website click here. 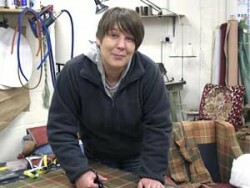 Upholstery Sewing Services, 1 Moathill East, Cupar, Fife, KY15 4DT.